The Cellar Kickboxing Gym was started in 2002 in the basement of a convenient store. Over the past 10+ years the gym has grown and expanded three times to become the facility it is today. In addition to its size, the gym has also grown to offer more than just kickboxing. Today The Cellar offers classes in Boxing, Kickboxing, Muay Thai, Brazilian Jiu Jitsu, Mixed Martial Arts, and more! The Cellar is owned and operated by Chris and Jen Cichon. Chris has managed The Cellar since 2005 and his wife Jen joined the business full-time in 2010. Students at The Cellar can start as young as 3 years old in our Lil’ Ninjas pre-school Martial Arts program. 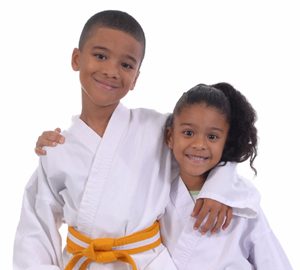 As kids get older they can move into our kids Muay Thai and Brazilian Jiu Jitsu programs. We have classes specifically for teens and a variety of fitness and recreational classes for adults. If martial arts isn’t Mom’s thing, The Cellar’s “sister gym”, Knockout Bodies offers a variety of dance and boot camp classes that Moms may love. And it’s located in the same building!